It’s been awhile since my last Mac. I was using a G4 PowerBook, the 12-inch one. I liked its compact size, which Apple didn’t continue. When the 13-inch MacBook Pro came along, I was psyched, but not too much, because I’m mostly not a “first adopter” in getting hardware (one exception being the G1 phone). I finally got it this summer and noticed two details worth highlighting, straight out of the box. These are little refinements but they’re big in overall contribution. 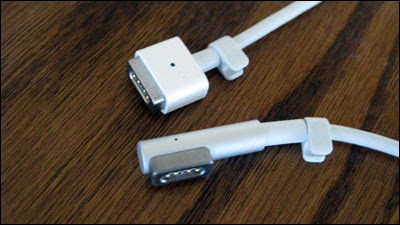 In his opening talk at the fifth annual AllThingsDigital (AllThingsD) conference, Steve Jobs described products as packages, where certain things are emphasized and others are not. A “product portfolio” is really a portfolio of details. 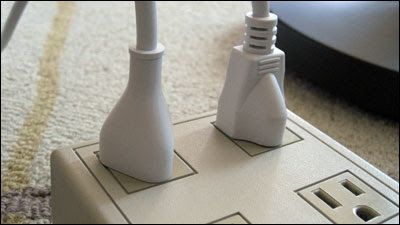 The simplified ends of a laptop power cord are great areas of emphasis precisely because they’re easy to ignore. They prove that size doesn’t matter in improving the details.